Norwegian NGO Dream Learn Work organizes seminar to increase attention on the importance of Corporate Social Responsibility (CSR), also in times of crisis. 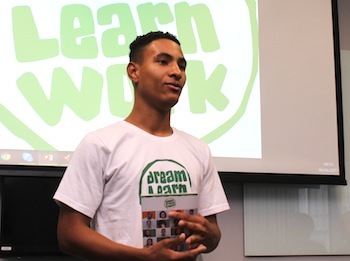 Dream Learn Work invests in education for young Brazilians from challenging environments and also help these young people land relevant work. 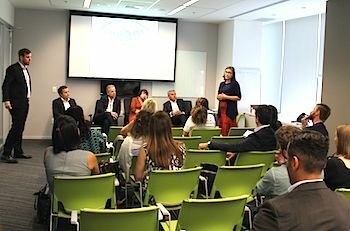 The seminar took place in Rio de Janeiro on June 6, 2017, and DLW chairman Halvard Idland emphasized how common goals can contribute to secure the survival and thriving of an organization like Dream Learn Work in times of crisis, in his opening remarks. «We know that the companies need to deliver profit and survive, but social investments is also a priority and this is something we have in common. The question today is how we can become even closer partners and work together on a broader specter? Not all social investments imply huge costs», Mr. Idland said. Keynote speaker of the event was Mônica de Roure, executive director of Brazil Foundation, that works to mobilize resources for ideas and actions that transform Brazil, by professionalizing NGO´s and linking them to companies and other stakeholders. She applauded the scope of Dream Learn Work. «IBGE statistics show that about 20 percent of young Brazilians neither study nor work. These are people with dreams, but how can we create opportunities for them? Dream Learn Work is working to form citizens, to make them think, transform and be in control of their own lives. They need to realize that they are someone and that they can be something. This is not only about education. They need to find space for dreaming, and in times of crisis, this is more important than ever», Mrs. de Roure (in the photo below) said. Other students also talked about their experiences – Gabriel de Jesus is currently working as a trainee at Loreal´s administrative department. Wendel Lima talked about his experience at Kongsberg Maritime do Brasil through the company´s «A day at work» initiative, while Yasmin Nogueira talked about how her Statoil mentor helped her completely change the choices she made for her own education. Yasmin is currently studying to be an engineer. 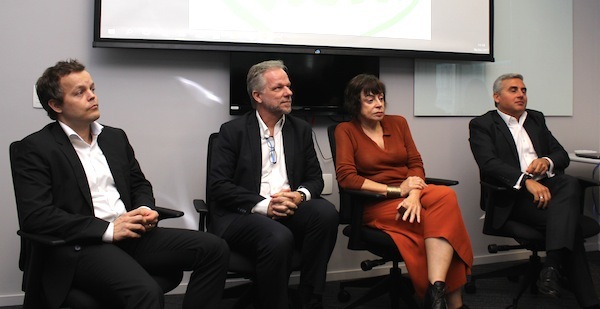 Richard Klevenhusen from Loreal, Geir-Erik Valø Nilsen from Kongsberg Maritime, and Paulo van der Ven from Statoil also shared insights on how they cooperate with DLW. The mentoring program of Statoil is an example of a low cost initiative of great value to the students, and social investments can be done in other ways than giving money. «Even in times of crisis, Dream Learn Work has a profile that fits perfectly with the strategy of any company, and you can participate on many levels», Mr. van der Ven said. Closing remarks were given by Vice-Consul of Norway in Rio de Janeiro, Torbjørn S. Larsen. «Norway´s Ministry of Foreign Affairs is an advocate for CSR. Norwegian companies are expected to integrate CSR in their daily operations, and today we are moving from a reactionary approach to a shared value creation approach. CSR in times of crisis is best handled by having a sustainable project that creates value for both parts, and DLW is a textbook example of CSR», he said.